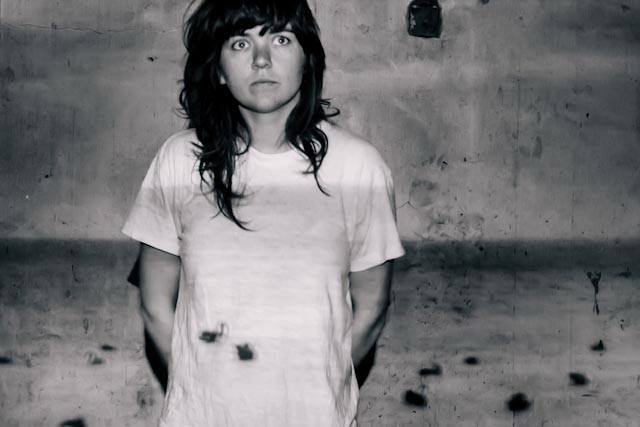 Bought the new Courtney Barnett record a couple of weeks ago and it’ll come as no surprise to you that it’s a real zinger, packed full of languid observations, entertaining remarks and more than a few poignant moments. Imagine, if you will, therefore, the added sheen that began to appear around the ticket pinned to our board for the young Aussie’s Bristol date. Live music! Whooo-ee! As is becoming a bit of a habit, we missed the first act, hanging around in the pub next door for too long; which is a shame as, according to friends who showed up at a decent time, Fraser Gorman was pretty good and was supported from the floor by his host herself – a gesture of solidarity that I’ve always thought says a lot. Spring King, the second support, band were certainly a game bunch thrashing through an edgy, enthusiastic set which made me think I should investigate them at a later date. Courtney Barnett came on early (about nine, I think), looking in disappointingly robust good health (the cartoon picture I’d been nurturing in my head was of a slightly neurotic, ashen-faced, over-sensitive soul). Overcoming a few sound problems at first, she worked through a cheerful, business-like set which I really enjoyed, and which went down well with a packed Fleece audience. As ever, the sound at the Fleece was tip-top and the recordings have come out quite well; I warmly urge you to avail yourselves. Previous Tell you straight – you’re never gonna get enough time Next Furia en la Corazón!